TDC&Co were recently awarded the coveted store design of the year award at this year’s SHOP! Awards in Chicago. 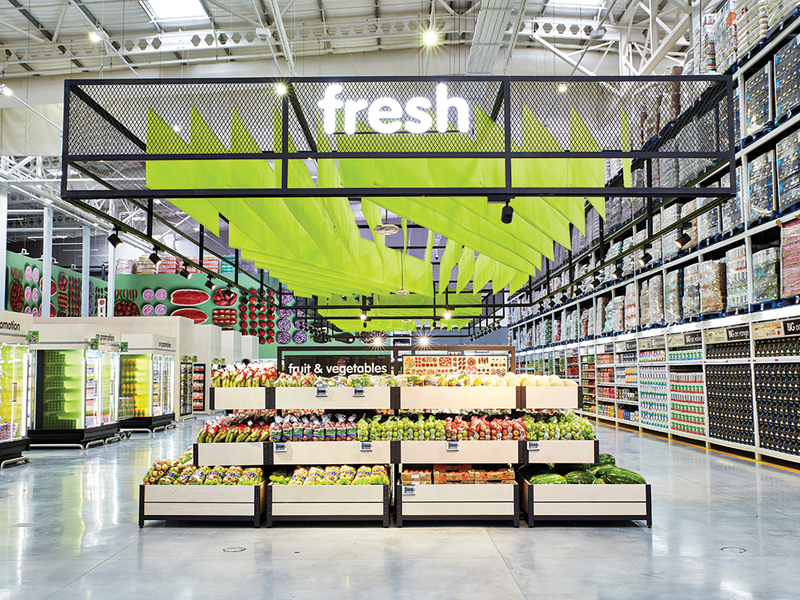 Coming out tops in the ‘Department Store’ category, the award went to TDC&Co’s design of the stunning new Makro store in Riversands, Johannesburg, which launched in November 2017. We would like to congratulate Makro and the full TDC&Co team who, together with R&L Architects and our outstanding supply base, delivered on this prestigious project. As discerning customers continue to tighten their belts in response to these uncertain economic times, they become ever more attentive to best price and value when filling their shopping trolleys. Big box retailers are most often perceived as offering the best value, but even in this space, consumers are ‘shopping down’ to maximise savings. Store design plays a critical part in meeting these customer expectations. It has become more prudent than ever for retailers to ‘up their game’ to ensure that the environment, product and experience meets the shopper’s demands without alienating their existing customer base. Better experience, same value.